The ESPO Award on Societal Integration of Ports is entering its 11th edition. The theme of this year is “Transparency and the role of social media in reaching out to local community”. 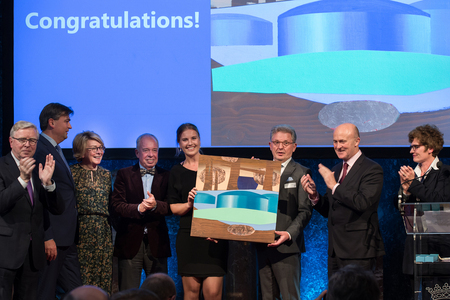 The ESPO Award was established in 2009 to promote innovative projects of port authorities that improve societal integration of ports, especially with the city or wider community in which they are located. In this way, the Award aims to stimulate the sustainable development of European ports and their cities. Project submissions have to reach the ESPO secretariat by Friday 28 June 2019 at the latest. The application form and the terms of reference are available on the ESPO Website. The 11th ESPO Award will be officially handed out during an Award Ceremony and Dinner, which will take place on 13 November in Brussels. Previous winners of the Award are the Port of Gijón (2009), the Port of Helsinki (2010), the Ports of Stockholm (2011), the Port of Genoa (2012), the Port of Antwerp (2013), the Port of Koper (2014), Port of Dublin (2015), BremenPorts (2016) and Guadeloupe Ports Caraïbes (2017), Port of Rotterdam (2018, picture).